Charles Deutsch and Rene Bonnet began building cars together in 1938. Based near Paris, the 24 Hours of Le Mans became their goal, and in the 1950s, their cars competed there numerous times. This very car raced there three different years. This is a three-time factory entry at the 24 Hours. It was active in hillclimbs until 1970 and has been restored to its distinctive “Vitrine” two-windshield configuration. It should sell for between $165,000-$215,000. Click here for more info and here for more from this sale. 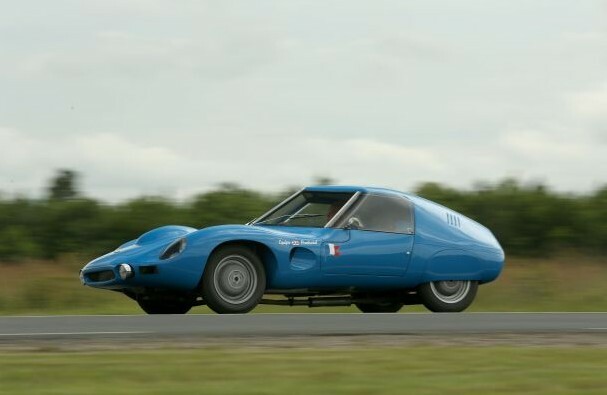 This entry was posted in Uncategorized and tagged 1959, artcurial, auctions, cars, classic cars, competition, coupe, db, deutsch-bonnet, hbr5, le mans, panhard, race cars by classiccarweekly. Bookmark the permalink.